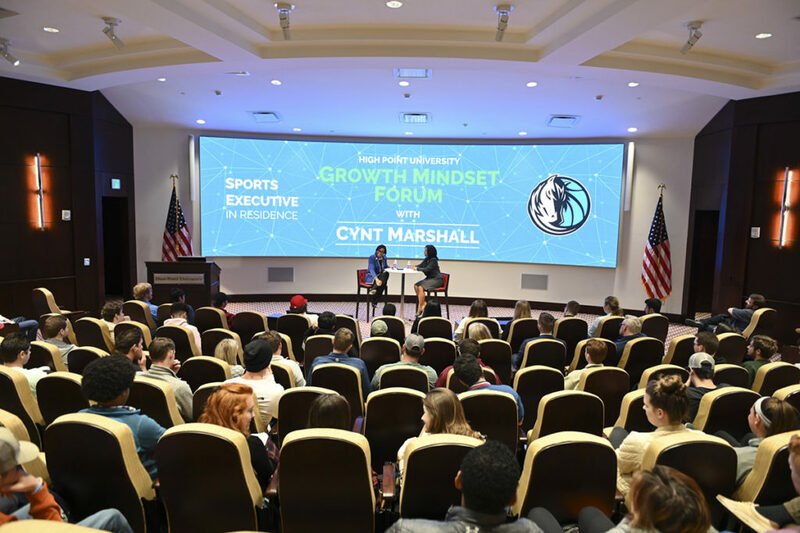 Cynt Marshall, CEO of the Dallas Mavericks and High Point University’s Sports Executive in Residence, visited HPU on March 20 for a variety of events. Marshall (left) participated in an interactive Q&A session moderated by HPU’s Dr. Rhonda Butler (right), assistant professor of business management. 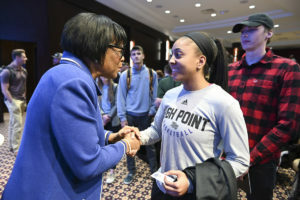 HIGH POINT, N.C., March 20, 2019 – Today, High Point University students from across campus were coached by industry expert Cynt Marshall, CEO of the Dallas Mavericks and HPU’s Sports Executive in Residence. In addition to the Q&A event, Marshall worked with HPU students inside the classroom. 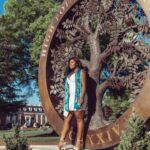 From working with a sport management class, to networking with students during lunch, to participating in a campus wide Q&A session, Marshall shared her insight for succeeding in the workplace. Marshall spoke of her rise in the industry, challenges she faced and transitioning from one executive role to another. She also said that above all, leaders must know the values on which they stand. Marshall has been CEO of the Dallas Mavericks since March 2018. Before joining the professional basketball franchise, Marshall served in leadership roles at AT&T, including senior vice president of human resources and chief diversity officer. In 2010, Marshall became the first African American chair of the North Carolina state chamber, and in 2013, Marshall received the prestigious Leadership North Carolina Governor’s Award for her efforts relative to education. 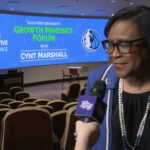 When she joined the Mavericks, she implemented a 100-day plan to transform the NBA team’s culture. 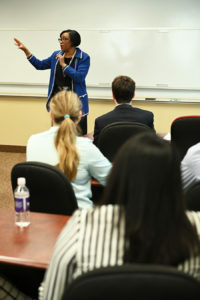 Students appreciated her insight on leadership and her perspective on how to build an impressive career path. During her time on campus, Marshall networked with students, answered their questions and provided insight into developing a successful career. 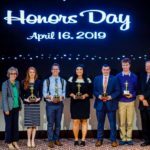 “When you have someone such as Cynt Marshall with her status in the sports industry come speak with you, you get a clear idea of the skills you need and the things you need to improve on to assess yourself and become a better person in that industry,” said HPU student Chris Tuosto. High Point University senior Cassandra Diaz, who has interned with the NBA, says Marshall’s guidance is beneficial to the professional growth of students. Marshall joins other global leaders who serve in residence by mentoring HPU students. 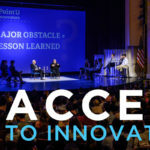 This includes Netflix Co-Founder Marc Randolph, HPU’s Entrepreneur in Residence; Apple Co-Founder Steve Wozniak, HPU’s Innovator in Residence; ABC News’ Byron Pitts, HPU’s Journalist in Residence; and Scott McKain, best-selling author, business consultant, trainer and HPU’s Corporate Educator in Residence.